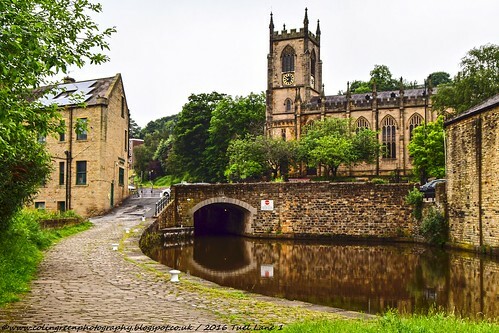 Colin Green Photography: Tuel Lane Lock and Tunnel. Tuel Lane Lock and Tunnel. 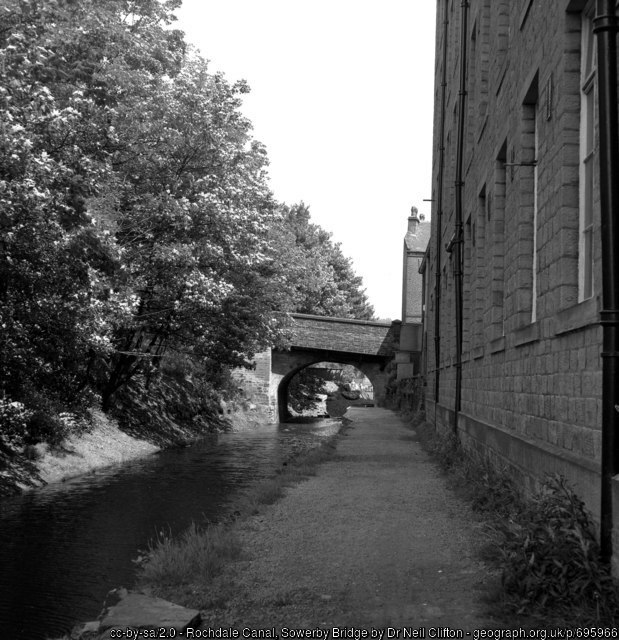 Tuel Lane Lock is a canal lock on the Rochdale Canal at Sowerby Bridge. The lock was built as part of the reopening of the canal and replaces locks 3 and 4 that were filled in during the 1950's. The following 2 pictures are what inspired this post. They were found on an old disk drive and the copyright does not belong to me. Sadly I do not know who took them so I cannot give them there rightful credit. I will remove them if the copyright owner request it. 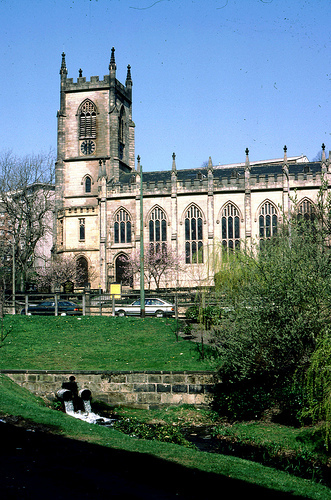 This picture shows the canal alongside Christ Church, with Lock No. 3 visible beyond the A58 bridge. I believe this picture to have been taken in the late 1940's to early 1950's before Tuel Lane was extended over the infilled canal. 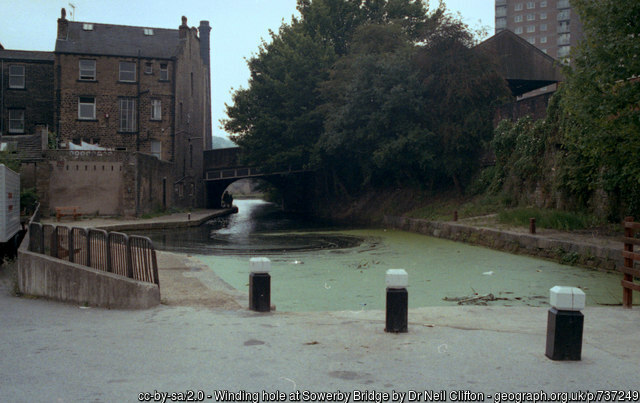 The pictures show the end of the Rochdale Canal at Sowerby Bridge during the 1980's or early 1990's. 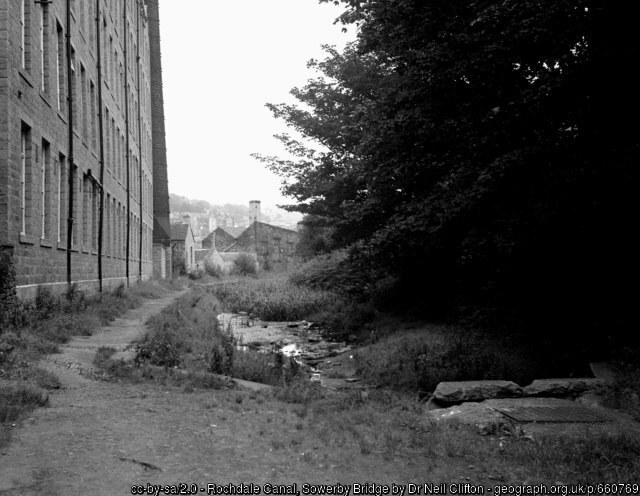 These pictures were taken along the canal from bridge 1a Tower Hill to lock 2 Sowerby Bridge upper lock over the last 5 years using various cameras depending on my mood and what day it was. There are a total of 22 pictures to view, 16 on Flickr and another 6 exclusive to Clickasnap. Links below. 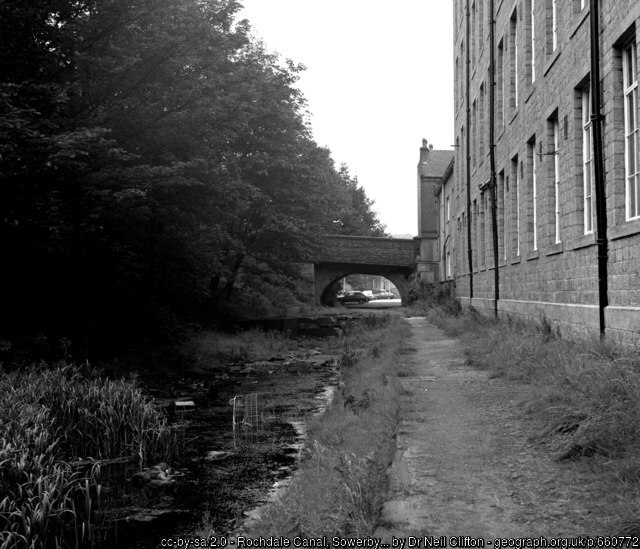 All traffic had ceased on the Rochdale Canal by 1937, having been replaced by firstly by rail and then road for transporting goods. In 1952 an Act of Parliament allowed for the canal to be abandoned. 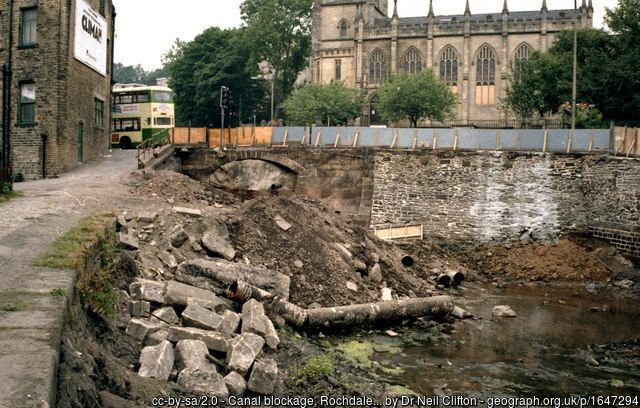 Over the next few years the section of the canal featured in the pictures was infilled and abandoned losing 2 locks and having the A1639 road built over the section of canal nearest Christ Church. 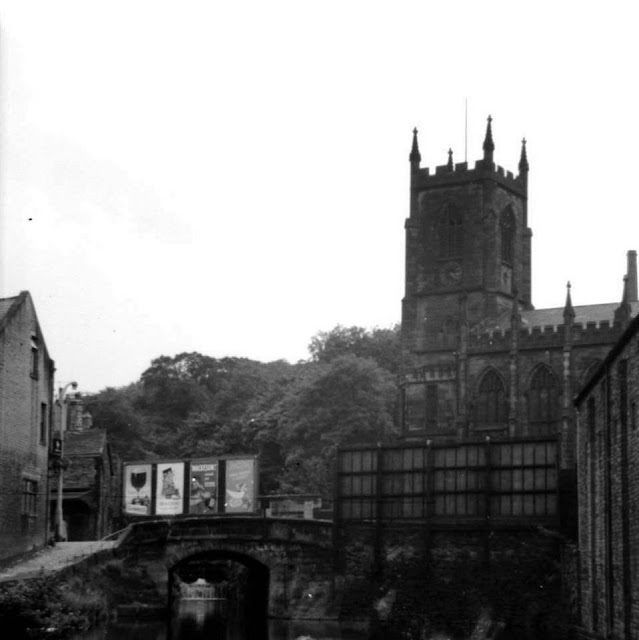 Plans to completely abandoned the canal and leave it's future to fate where instigated in 1965, but the Inland Waterways Association fought against this which by 1974 had led to the formation of the Rochdale Canal Society. 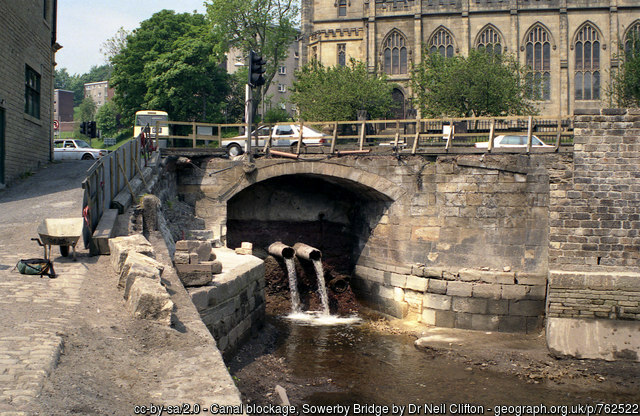 By 1990 a large section of the canal had been restored but the final piece reconnecting the canal with the Calder & Hebble Navigation had still not been realised. It took until 1996 for the completed tunnel and lock to open and on May 3rd 1996 the canal was finally reconnected with the Calder & Hebble. 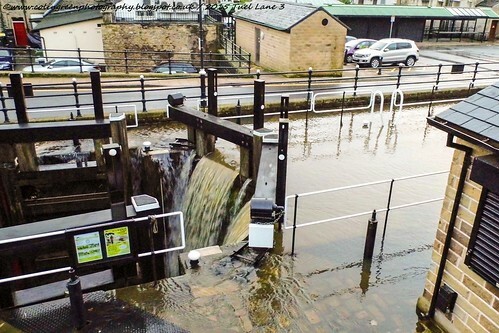 The lock is currently the deepest inland lock in the United Kingdom at 19 feet 8.5 inches and is controlled by a lock keeper with boat crews not permitted to operate the lock. Some of the pictures in the album were taken on Boxing Day 2015 when devastating floods hit the Calder Valley. The following 6 links take you to my Clickasnap images. Each time a picture there is viewed for over 10 seconds the photographer receives a contributors fee from them. All links open in another window. View "Christ Church and the Canal beyond the Bridge" by clicking here. 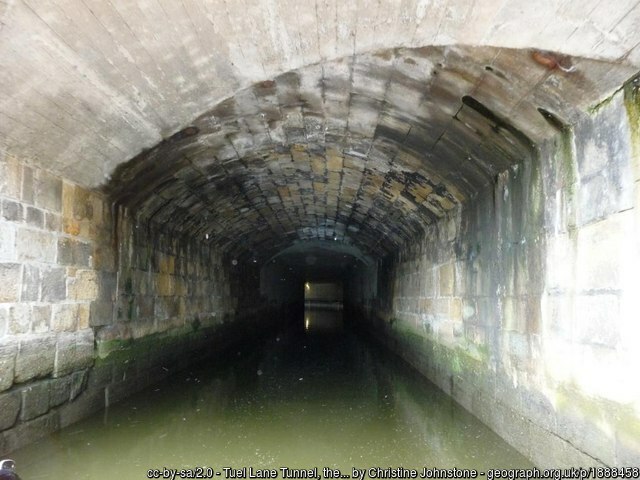 Click here to view "Tuel Lane Tunnel and Christ Church"
By showing these 7 pictures taken by Dr Neil Clifton and Christine Johnstone I hope I show the changes that took place in constructing the lock. I will remove them if either of the copyright holders request it.